Gram & Dun in Kansas City, Mo. This month, I’ve been writing about all of the mouthwatering barbecue that I ate during my personal Kansas City Barbecue Tour. Well, on December 26, my family and I took a break from barbecue to enjoy a more upscale dinner at Gram & Dun. When it comes to choosing restaurants, my mom can be indecisive while my dad has been known to choose some duds. So, as The Cravings Queen, I consider myself the master at picking restaurants that my whole family will love. Since we were celebrating my dad’s birthday, I knew that the restaurant I chose would require handcrafted cocktails and a menu that wasn’t too bougie. Gram & Dun, located in Kansas City’s Country Club Plaza, is a posh restaurant serving creative American cuisine with soul. With a quick glimpse of the dinner menu, I found a number of innovative dishes along with classic Southern comfort food. Next, I took a look at the extensive cocktail menu. With an array of libations made with whiskey, gin, vodka, tequila and rum, I knew that Gram & Dun was the perfect spot. As always, we began our meal with cocktails. My mom and dad order the Dem Apples while I went with the G&D Classic Margarita. Dem Apples is a vodka-based cocktail made with Absolut Vanilla and Tuaca. As soon as you raise the glass to your face, you can smell sweet, fragrant cinnamon apples. The cocktail, served chilled, also uses Cinder Block Brewing’s French Cider, giving the drink a refreshing and slightly tart finish. I had a little regret about my drink choice because I could drink the Dem Apples hot or cold, morning, noon and night. 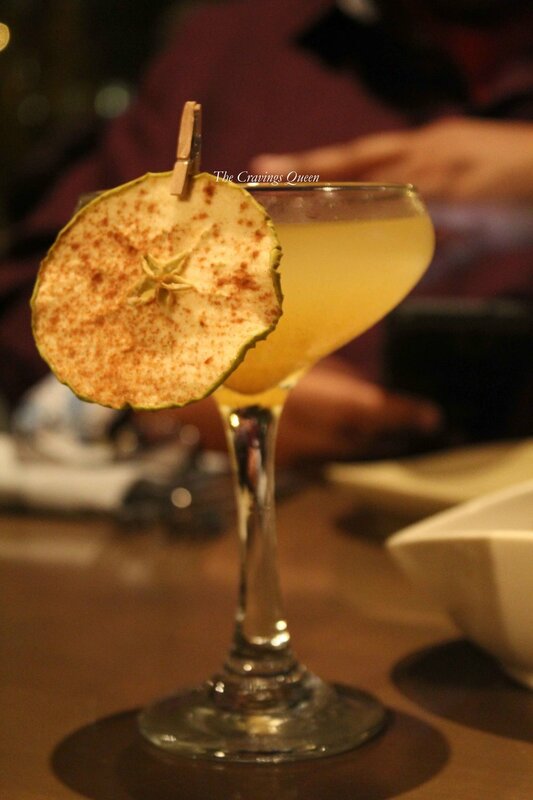 The Dem Apples was a fantastic seasonal drink, but you can never go wrong with a margarita. 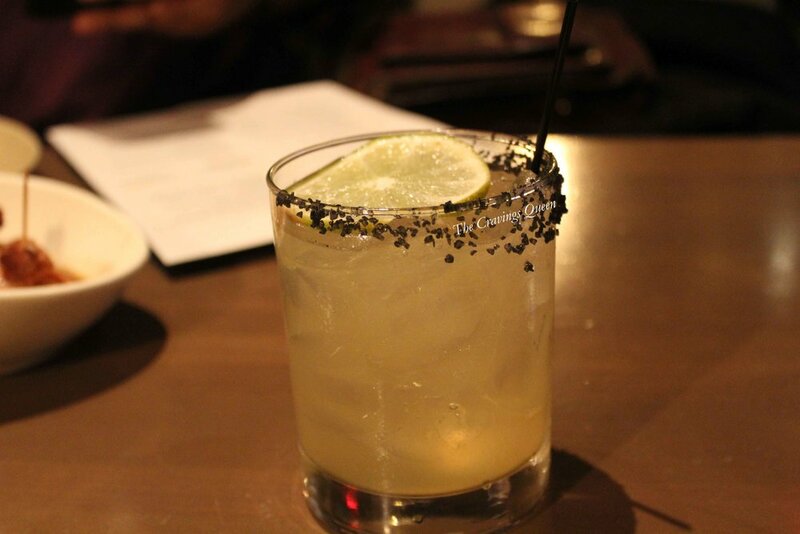 The G&D Classic was made with Tequila Ocho Plata premium tequila, dry curacao, citrus and agave nectar. The margarita was the perfect blend of sweet and tart. Garnished with a Hawaiian black salt rim, I got a full balance of flavors in one drink. After we ordered our cocktails, our server Andrea came to the table and recommended some dishes since it was our first time at Gram & Dun. She told us that one of the most popular menu items is the Chicken & Waffles. Andrea also recommended that we start our meal with the French Onion Dumplings. Wowed by the description of the appetizer, we placed an order. Take French onion soup, put the contents in a dumpling, drain the rich broth into a bowl then top the dish with melted gruyere cheese and a crouton to create this dish. As a lover of French onion soup, Gram & Dun’s French Onion Dumplings was the dish I never knew I needed in my life. There were enough for each of us to have two but I could’ve eaten them all on my own. For our entrees, my mom chose the Loaded Baked Potato Gnocchi, my dad selected the Hanger Steak and I went with the Cornmeal-Fried Catfish. I loved the plating of the Loaded Baked Potato Gnocchi and the use of the hollowed-out crispy potato skins. The velvety and soft gnocchi burst with flavor from the house-smoked bacon and was reminiscent of baked potato soup. The Hanger Steak is cooked medium-rare and is served with roasted new potatoes, grilled oyster mushrooms, salsa verde and arugula. It’s a more refined take on your classic meat and potatoes dish. I had my eye on Gram & Dun’s catfish from the moment I looked at the menu. With my first bite of the Cornmeal-Fried Catfish, I was sent to my own personal food paradise. The well-seasoned crust on the catfish made way for the soft, flaky fish to really shine. The dish is served with Burger’s country ham cheesy corn and hush puppies. I never knew that cheesy corn was such a big deal until I visited Kansas City. Gram & Dun’s is phenomenal, with a smokiness from the ham and a rich, creamy flavor. I passed my hush puppies along to my mom and opted for a side of greens instead. The braised collard greens had the perfect amount of acidity to complete my meal. Gram & Dun prides themselves on being “sophisticated, soulful and crafted.” This rings true in the restaurant’s menu and in the dining room. The vibe inside is very posh and luxurious, accented by dim lighting and cozy banquettes. As a fan of the Bravo show “Vanderpump Rules,” Gram & Dun could be the Kansas City equivalent to Sur Restaurant & Lounge (but with better food). When I went downstairs to use the bathroom, I half expected to find an additional bar and nightclub. The comfort food and comfortable décor is complemented by the friendly, courteous service. Andrea was wonderful and offered suggestions from the menu as soon as we sat down and throughout the evening. She even hooked my dad up with a little birthday dessert. If I were a local to Kansas City, I would easily return to Gram & Dun for dinner, drinks and appetizers at the chic bar or brunch on the outdoor patio. Gram & Dun is located at 600 Ward Parkway, Kansas City, Mo. First Dish of the Year: Mayo Grilled Cheese from Barrel & Bushel in Tysons Corner, Va.